Home / Inspiring / Trending / Viral / world / Bakit Kaya Hinimatay ang Lalaking Ito sa Airport? Alamin ang Nakakaiyak na Tagpo! The airport is a really emotional place. If you’ve watched ‘Love Actually’, you’ll find out that all different kinds of love exists inside this building. 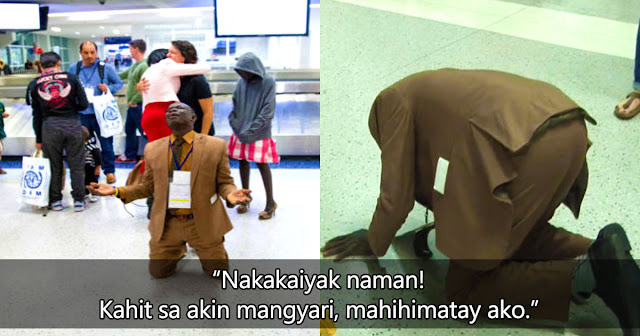 The emotional scene witnessed by the people in this airport in United States is a true testament to love. To fully understand this, you have to know the political situation in South Sudan. Because of the war situation, families are torn apart when they seek refuge in other countries. For years, Alik and Dyan would not see each other, as they had to flee to different places. As if that wasn't painful enough, Alik was actually pregnant with their third child at the time. You see, families are given priority when fleeing to the United States. The unfortunate thing is, Dylan and Alik's marriage papers were also destroyed in the war. 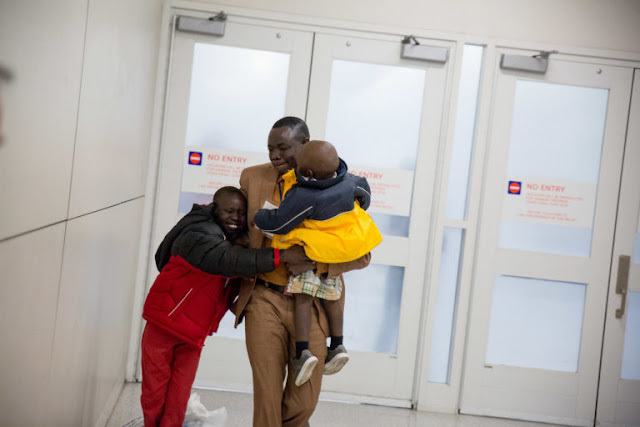 In effect, Alik and their children were able to enter the country without any worries, while Dyan was considered a "single male" which pushed him down the relocation priority list. Since they were not able to enter the country together, understandably, they lost connection and communication for a very long time. Fortunately, Alik found a family that helped her navigate her way to a whole new country. She found a couple of support groups, too, but she always, always missed her husband. To make matters worse, Dyan actually didn't make it to the United States for a very long time. He got stuck in a refugee camp in Egypt. But as fate would have it, Alik's support group found out, after four long years, that Dyan was finally arriving at the United States! This led to this highly charged emotional scene in the airport. Onlookers can't keep their eyes dry with this scene happening around them. After four years, this family is reunited. Can you imagine going through what this family did? Let us know in the comments section below!